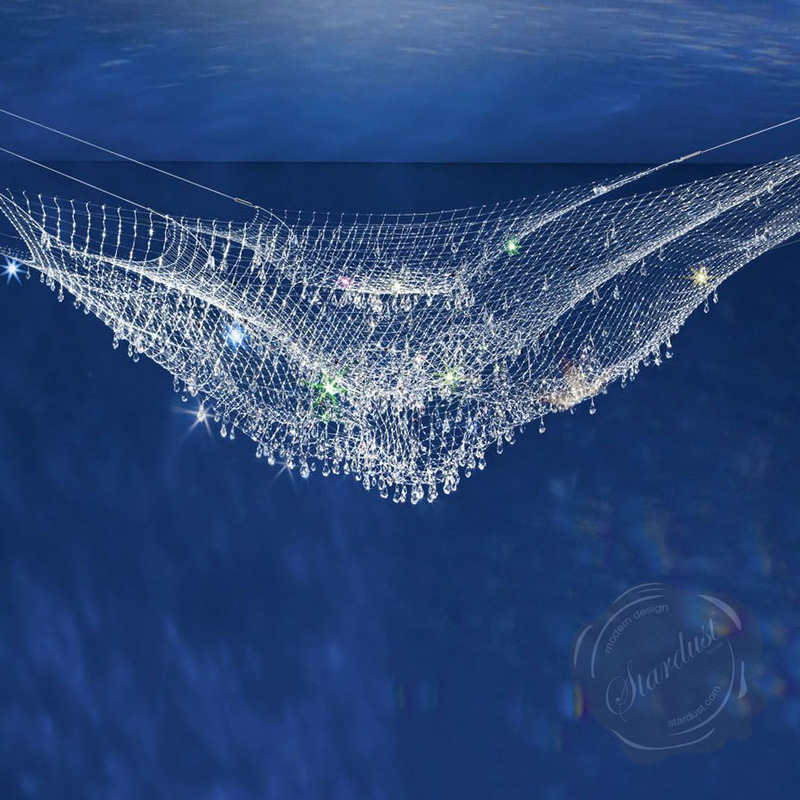 Lacrime Del Pescatore Ceiling Light by Ingo Maurer from Stardust. 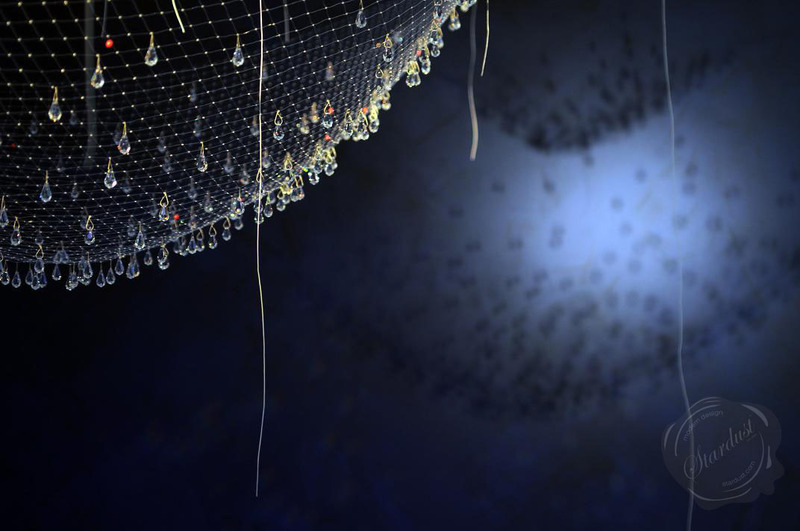 35 years ago on the waters of the Venice Lagoon I saw fishermen's nets covered in thousands of water droplets. And as they sparkled in the early morning sun I was inspired to create Lacrime del Pescatore--the Tears of the Fisherman." -Ingo Maurer. 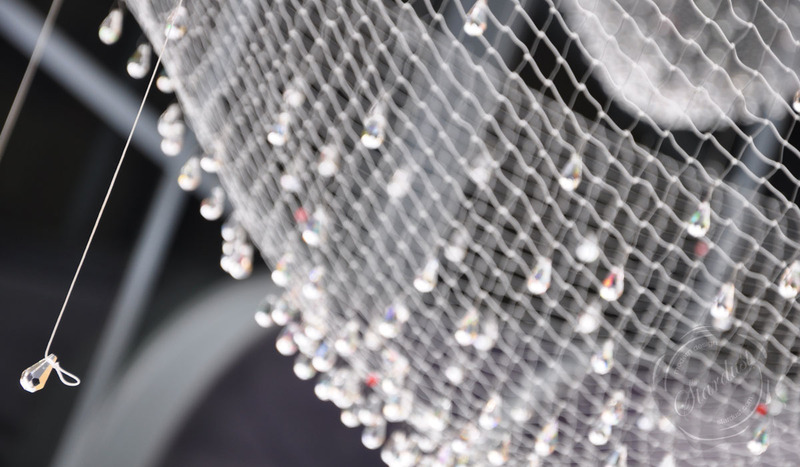 The Ingo Maurer Lacrime del Pescatore Ceiling Light recreates glistening fishermen's nets in three layers of nylon netting literally dripping in sparkling crystals. This singular structure hangs from the ceiling and is illuminated by a separately mounted wall light. 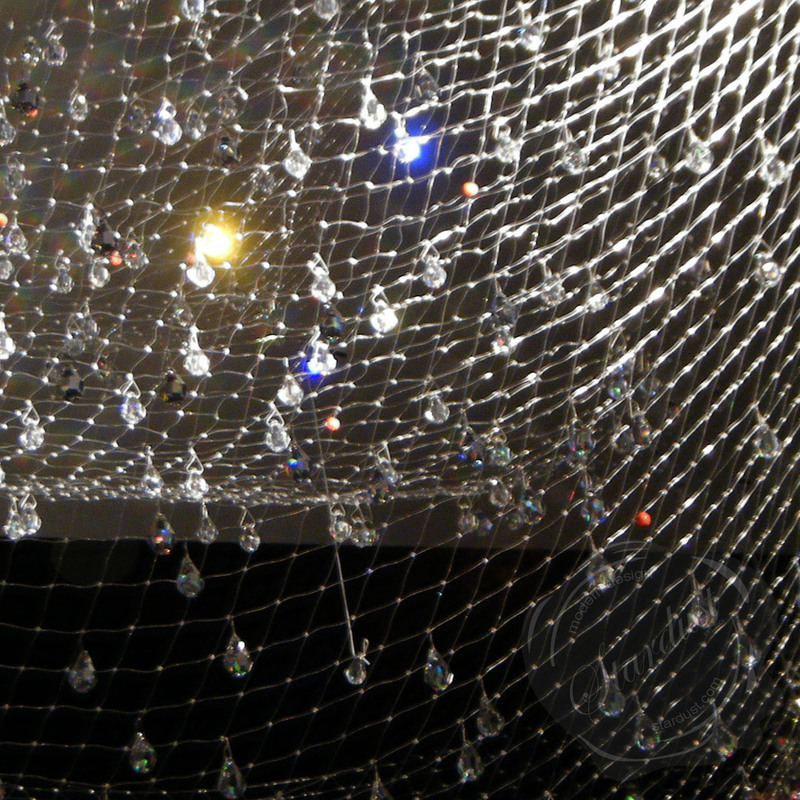 Ingo Maurer's latest creation Lacrime del Pescatore (Tears of the Fisherman) is simply stunning! 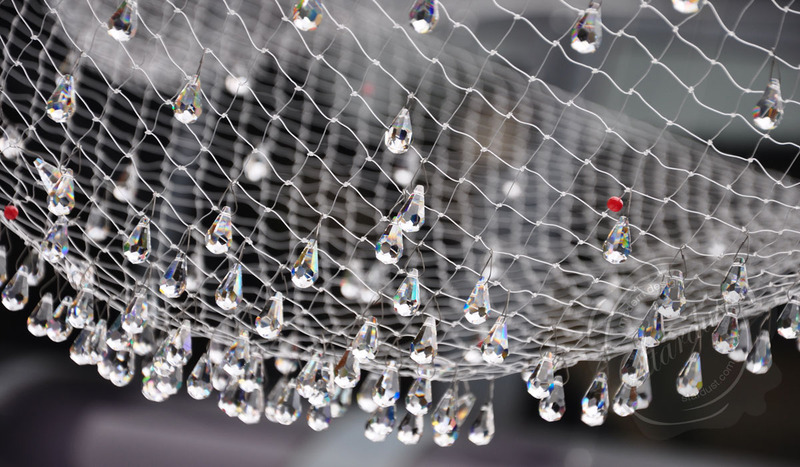 Layered nylon nets in three different sizes are laden with approximately 350 crystals that shimmer like drops of water. 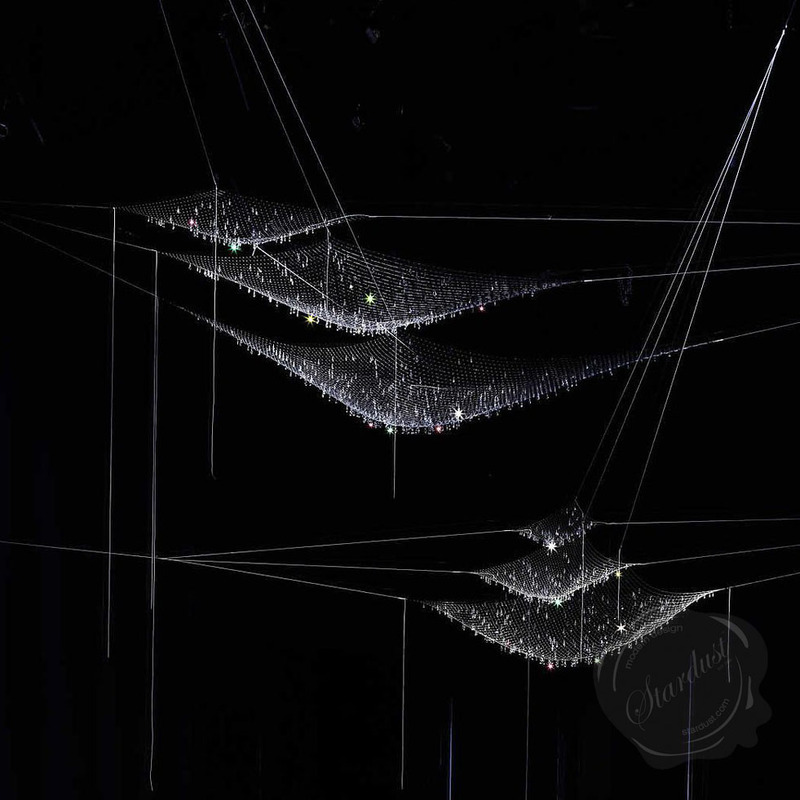 The light source itself is not even part of this unique "light fixture" but is fixed separately to the wall and aimed to shine at the netting and crystals to illuminate them and brings them to life. As an added touch it is packaged it in a fun "to go"container. 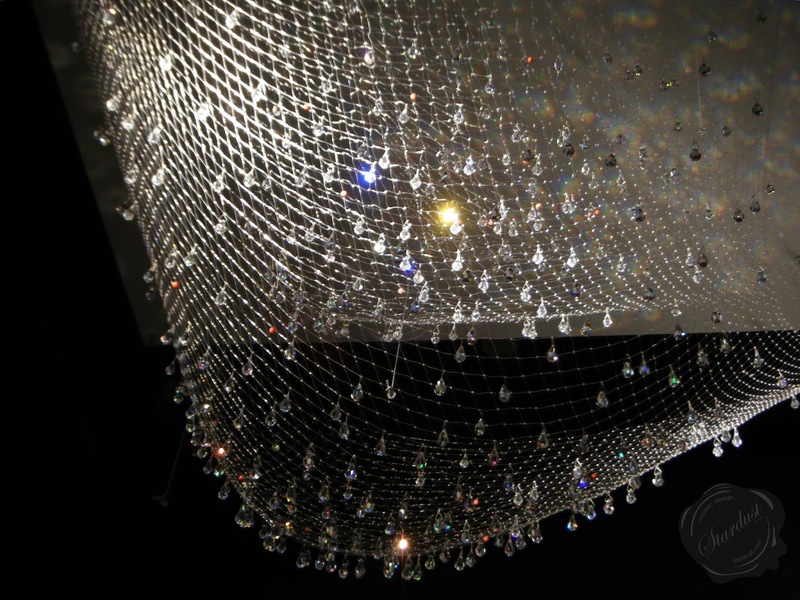 Ingo Maurer calls it a cash and carry chandelier! 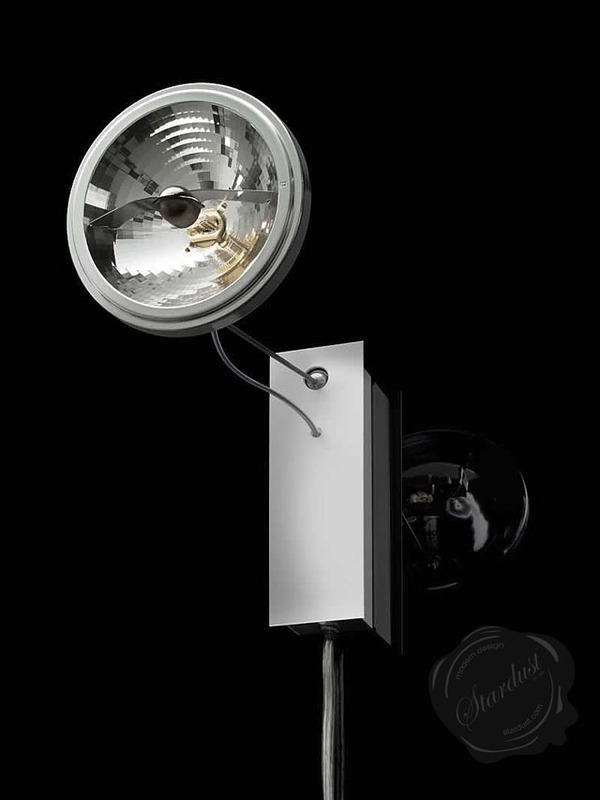 The Lacrime del Pescatore comes with a dimmable electronic transformer. Max. 100 Watt 8° halogen, socket G53. Complete with bulb. Ingo Maurer is the son of a fisherman and grew up on the island Reichenau in Lake of Constance with four siblings. After an apprenticeship as typesetter, he studied graphic design in Munich, Germany. 1960 Maurer left Germany for the USA, where he worked in New York and San Francisco as a freelance graphic designer. 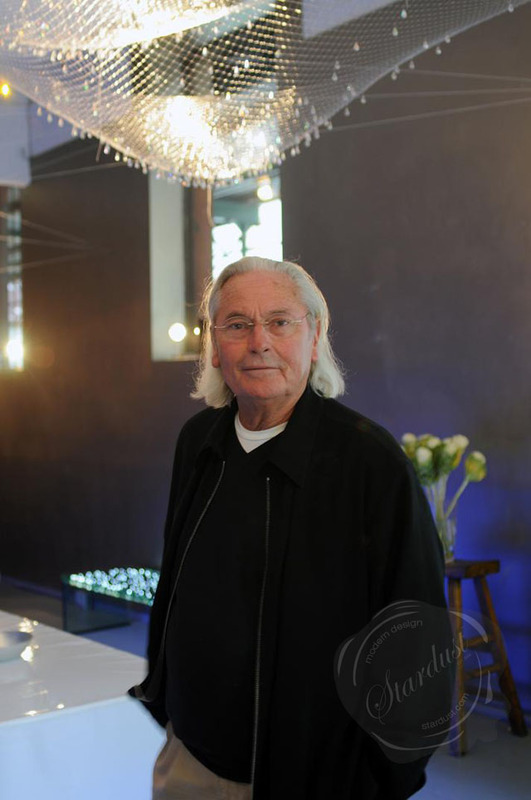 In 1963, he moved back to Germany, and founded Design M, a company developing and manufacturing lamps after his own designs. The company was later renamed to "Ingo Maurer GmbH". One of his first designs, «Bulb» (1966) has been included in the design collection of the Museum of Modern Art in 1966. 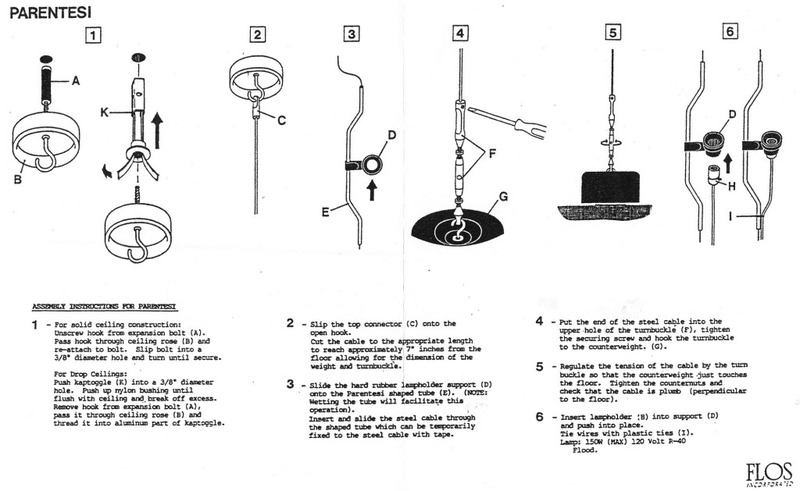 1984 he presented the low-voltage wire system YaYaHo, consisting of two horizontally fixed metal ropes and a series of adjustable lighting elements with halogen bulbs, which became an instant success. Maurer was asked to create special YaYaHo installations for the exhibition "Lumieres je pense a vous" at Centre Georges Pompidou in Paris, the Villa Medici in Rome, and the Institut Francais d'Architecture in Paris. In 1989 Fondation Cartier pour l'Art Contemporain (Cartier Foundation for Contemporary Art) in Jouy-en-Josas near Paris organized the exhibition "Ingo Maurer: Lumière Hasard Réflexion". (Ingo Maurer: Light Chance Reflection). For this exhibition, for the first time Maurer created lighting objects and installation which were not meant for serial production. Since 1989, his design and objects have been presented in a series of exhibitions, including the Stedelijk Museum in Amsterdam (1993). 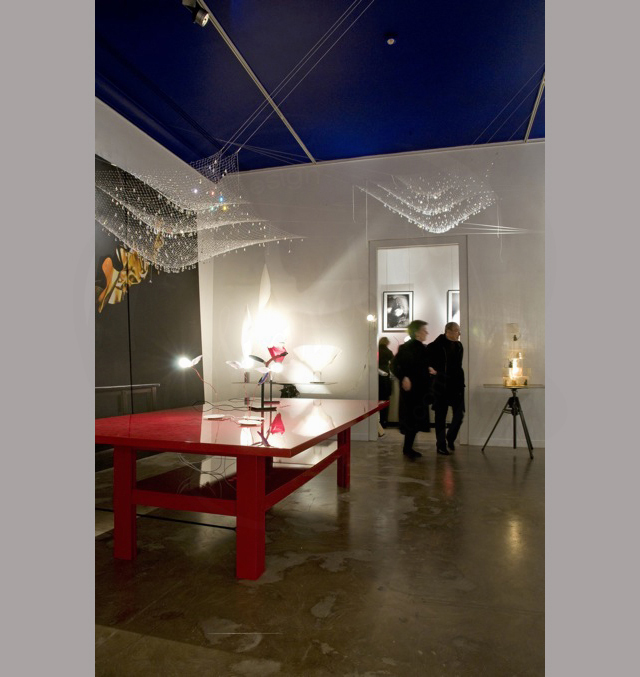 In 2002 the Vitra Design Museum organized Ingo Maurer - Light - Reaching for the Moon, a travelling exhibition with several shows in Europe and in Japan. 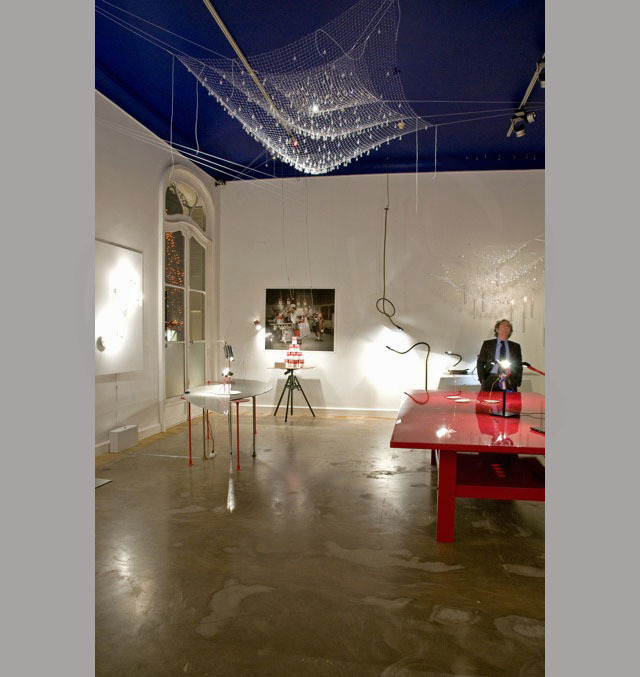 In 2007 the Cooper Hewitt Museum|Cooper-Hewitt National Design Museum in New York presented the exhibition Provoking Magic: Lighting of Ingo Maurer. 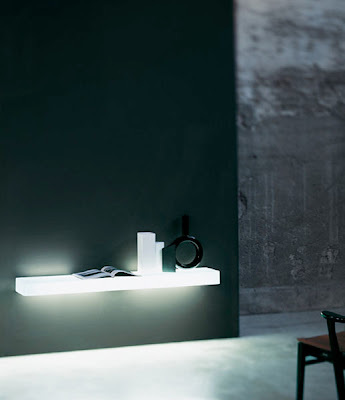 Ingo Maurer created many objects using LEDs, the first being the lighting object Bellissima Brutta in 1996. 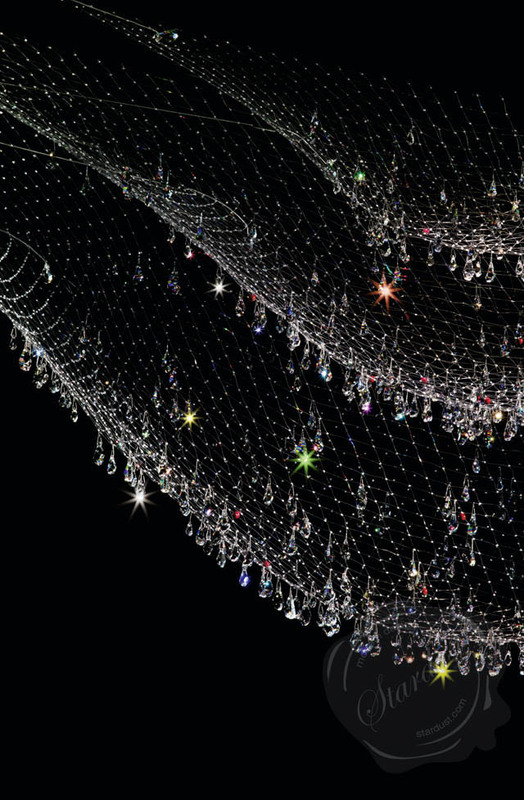 In 2001 he presented a table lamp with LEDs with the name EL.E.Dee. 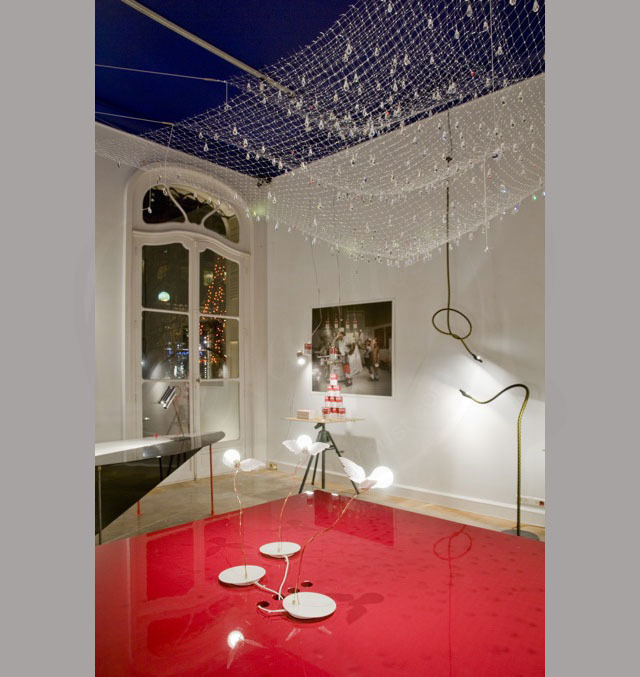 Since 2006, he is also experimenting with organic light-emitting diode (Organic LEDs), presenting two objects in 2006, and a table lamp as limited edition. Beside the design of lamps for serial production, Ingo Maurer creates and plans light installation for public or private spaces. In Munich, he created light installation at Westfriedhof subway station (1998) and the renovation and lighting concept for Muenchner Freiheit subway station, to be opened in December 2009. For Issey Miyake he realised an installation for a fashion show in Paris (1999). In 2006 he created lighting objects and installations for the interior of the Atomium the Brussels. Among his best-known designs are the winged bulb Lucellino (1992), Porca Miseria! (1994), a suspension lamp made with porcelain shards. 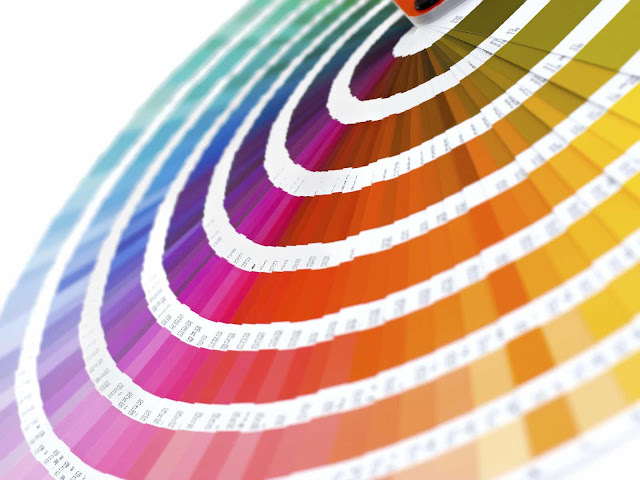 Since the early 1980s, Maurer works with a team of younger designers and developers. 2011, the redesign for the underground area of the U-Bahn public transport station Marienplatz in Munich, Germany, was awarded to Ingo Maurer together with Allmann Sattler Wappner. Ingo Maurer GmbH has two showrooms, in Munich and in New York. 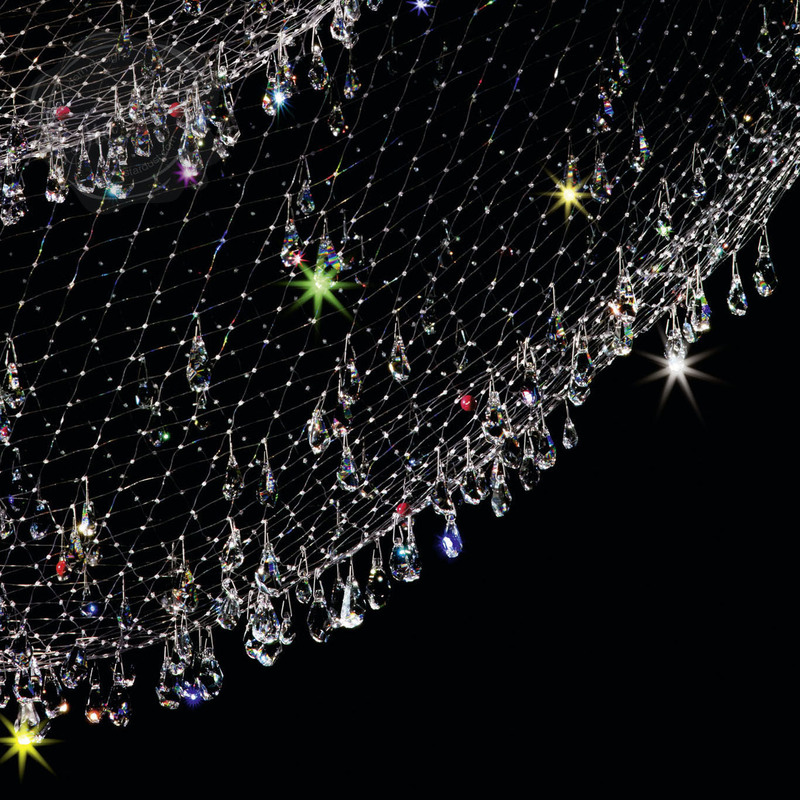 Stardust showcases the Ingo Maurer lighting collection on the West Coast.